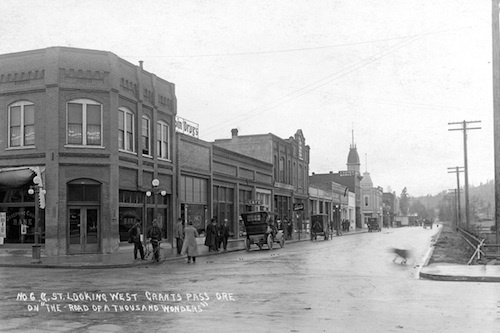 Downtown Grants Pass has been designated a National Historic District because of its historic buildings. But there's so much more that makes it special. 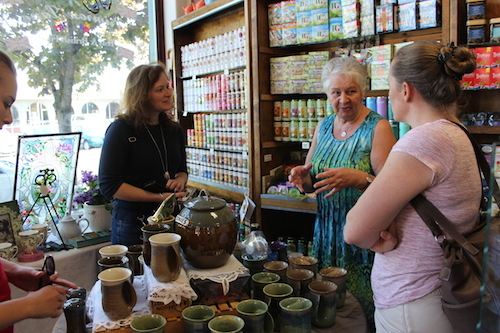 Along with the shops and eateries, there's a weekly outdoor Southern Oregon Growers Market, plenty of free off-street parking, and a visitor information office. 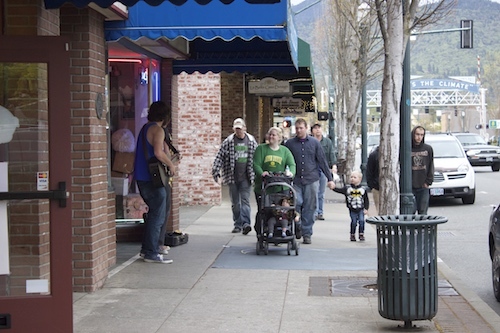 This core business district of Grants Pass is alive with activity and opportunities for small businesses. The entire downtown has received a major multimillion dollar face-lift with new streets, sidewalks, and other amenities designed to create a more pedestrian-friendly and economically vibrant atmosphere. 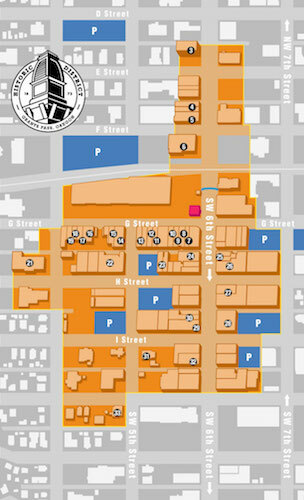 It is the prime location for many events such as parades, BearFest and First Friday Live. You will also find the historic Rogue Theatre that offers a range of musical entertainment. Night or day, you can find some excitement downtown. 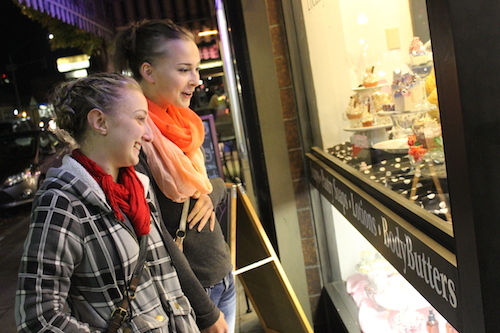 When you arrive, you'll find an abundance exclusive shops, art galleries, and antique stores. Explore the unique merchandise not found in shopping centers elsewhere and be greeted with a warm welcome by our locals. 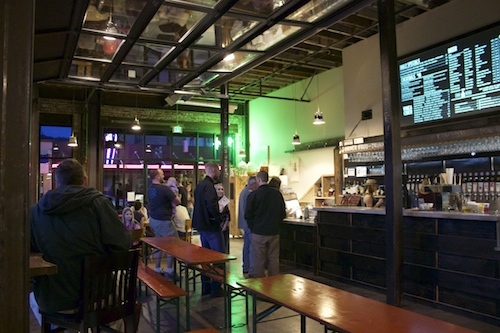 Enjoy dining at one of the many downtown eateries and brew pubs where your options range from the cozy atmosphere of a classic coffee house with a delectable pastry and tea or having a bite of a scrumptious steak at a distinguished restaurant and sipping on your favorite Oregon wine. 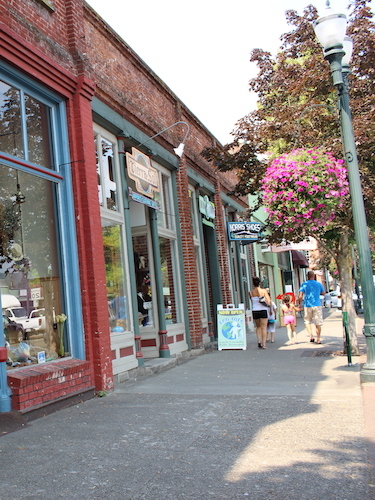 Downtown Grants Pass offers alternatives for every taste and budget. 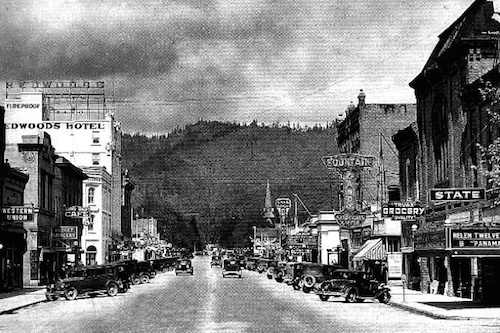 Dine the Grants Pass way: eat well, laugh often. 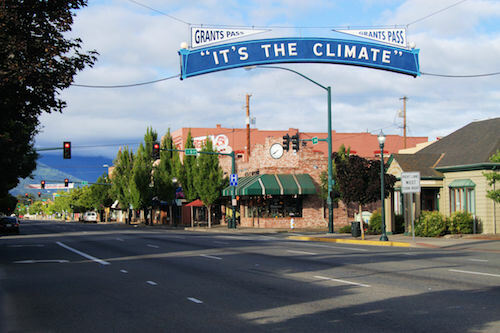 If Grants Pass had one unique characteristic through the years, it was the signs built over the streets to advertise its virtues. These started as cloth signs before the turn of the century and exist as the lighted “It’s the Climate” sign today. First hung on July 20th, 1920, the sign is a tribute to a remarkable place to live, work, play all in great weather! The sign was an idea of local resident Mr. John Hampshire, an engineer and road contractor. 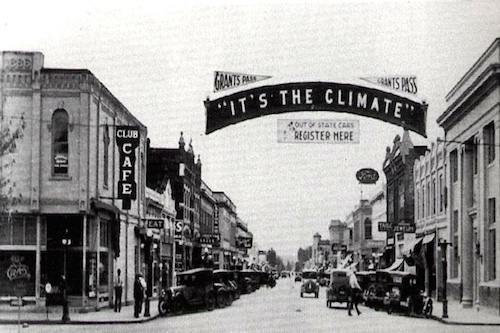 Arriving in Grants Pass in 1917, Mr. Hampshire started promoting the slogan he created, "It's The Climate", to all the local businesses. Mr. Hampshire received permission from the railroad (railroads owned most of the right of way in those early times), and he had the "It's the Climate" sign created. John Hampshire paid the entire cost of the sign and donated it to Josephine County.